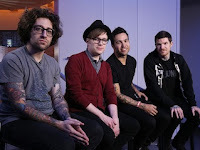 Fall Out Boy have revealed they will be releasing a new song titled "Immortals" this Tuesday (October 14th). The track is taken from the upcoming soundtrack to the new Disney movie, Big Hero 6. You can listen to a clip of the song below.